Supercamp is recognised as Australia’s leading sports training camp and is a good way for any company, large or small, to generate easy identification for their product. Collaboration with Supercamp will enable your company to gain excellent brand coverage in all of the Supercamp locations throughout Australia. 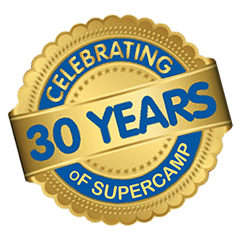 Supercamp is widely promoted via television, radio, newspaper, online and Facebook, as well as high schools, primary schools, sporting clubs and organisations throughout Australia. Supercamp’s popularity exists because each camp is conducted by extremely competent and well-respected coaching staff. Supercamp assists children by offering scholarships to camps and places extreme importance on respect for your fellow competitor. Supercamp offers attractive sponsorship opportunities which can be tailored to suit your company's core goals, target market and budget. To find out more, contact Supercamp® Director, Clarence Dickerson via office@supercamp.com.au or phone 0417 196 151.